Nice save, I hope we'll get him back soon. Donnarumma: "Milan, renew the contract. Rossoneri youth, the future is De Sciglio: Green eye and Cristante. Errors arbitration, but the championship is possible"
oung Rossoneri grow. 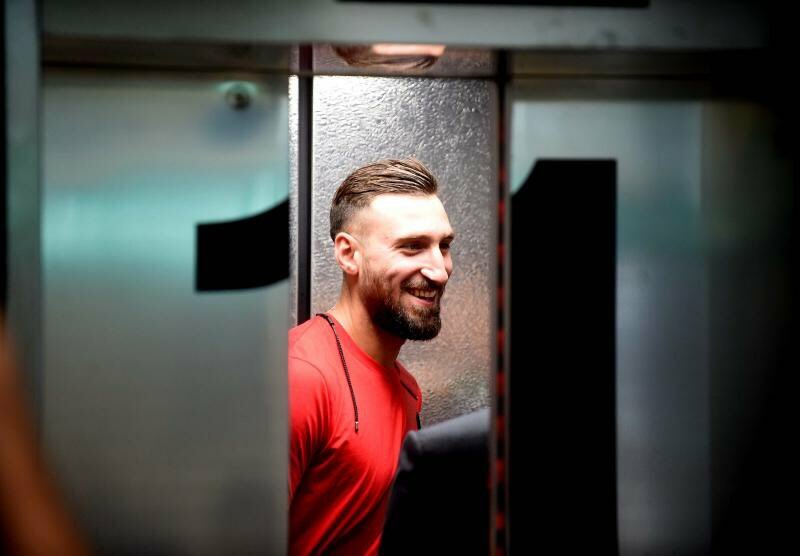 Among De Sciglio Cristante and making their debut in the Champions League with Milan's shirt, stands in Gubbio Antonio Donnarumma. Despite the ranking does not smile to the Umbrians, the Rossoneri goalkeeper school education is a pillar of Gubbio. A recount on its growth path, with little mention of the unfortunate events of Gubbio home, we think the person directly involved, speaking on Tuttomercatoweb . "It's a good person, the impact was positive. missing eight days, we must face them as final. The coach is focusing on the mental factor, in our opinion is the first thing that counts." Ok, but is the fourth coach in a season. "We have conformed to all the coaches always listening. We had great mister, can not say that someone is more skilled or less skilled. Unfortunately the results did not help us and when there are the results the company is led to give a shock. " He is doing well in Gubbio. Next target, the First Division? "For now the salvation of Gubbio. In addition to good or bad depends a lot from the team. If we get what we want, at the end of the championship will be different. We will see in June. Last year I played little more this year. I'm doing my experiences, one must always be ready for anything. " Also bind to AC Milan for another three years. "be renewing. When depends on Milan. look for the end of the season, then I will call the Rossoneri and put everything in black and white. Of course I'm glad this". "Maybe! would be a dream. Sebastiano Rossi follows me in all games, I'm glad. Then I am bound to Abbiati, I like his style." "Pity about the penalty given to Barça, but AC Milan came out head high because the season can deliver the championship to the team." Before Ladri, then Catania and now Barcelona. With the referees Milan,ultimately, is not in agreement. "So it seems. But you have to think ahead and leave behind everything. There is a shield to conquer." The next talented in Milan destined to explode? "De Sciglio. We've played together, is strong. And there is also Verdi. Then there Cristante that I heard, although I have not seen training. I happy that the youth of Milan is on everyone's lips. " Meanwhile his former Piacenza failed. "I'm sorry. Despite having not played much at Piacenza remained tied. I hope he can recover." Donnarumma: "My dream is to return to AC Milan"
Make him first choice keeper. "This is a war with no villains, only victims..."
any one who thinks this isnt the best transfer we ve made this summer is kidding himself.. Moved before the official announcement ? Any highlight videos of his clean sheet vs Bayern Munich?